BOISBRIAND, Que. — Peyton Hoyt scored twice as the Blainville-Boisbriand Armada downed the Moncton Wildcats 4-1 on Saturday in Quebec Major Junior Hockey League action. Emile Samson stopped 33 shots to help Blainville-Boisbriand extend its win streak to four games. Samuel Bolduc and Aleksi Anttalainen supplied the rest of the offence for the Armada (14-12-1). Simon Le Coultre was the lone Wildcats skater to beat Samson. Francis Leclerc stopped 23-of-26 shots in defeat. Blainville-Boisbriand went 1 for 2 on the power play while Moncton (21-7-2) failed to score on four chances with the man advantage. SYDNEY, N.S. — Shaun Miller scored twice and William Grimard had to make only 14 saves as Cape Breton shut out Val-d'Or for its sixth win in seven games. Adam McCormick also struck twice while Noah Laaouan and Mitchell Balmas had the others for the Screaming Eagles (16-11-2). Mathieu Marquis turned away 24 shots for the Foreurs (10-15-4). SAINT JOHN, N.B. — Alex Beaucage had three goals and an assist and Peter Abbandonato scored once and set up two more as Rouyn-Noranda toppled the Sea Dogs. Mathieu Gagnon, Patrik Hrehorcak and Vincent Marleau also scored while Zachary Emond made 25 saves for the Huskies (23-5-0), who have won 11 of their last 12 outings. Charlie DesRoches was the lone scorer for Saint John (3-22-3), which has lost 18 of 19 games. Mikhail Denisov stopped 37-of-43 shots for the loss. BAIE-COMEAU, Que. — Jeremy Laframboise capped a three-goal second period with the eventual winner for Quebec en route to beating the Drakkar. 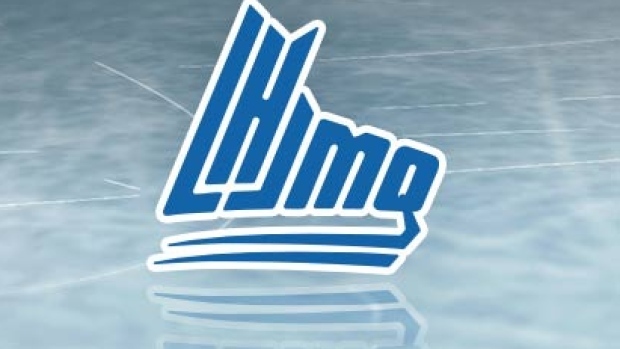 Olivier Mathieu, Philipp Kurashev, Pierrick Dube and Matthew Grouchy also scored for the Remparts (13-11-5) as Anthony Morrone made 28 saves for the win. Yaroslav Alexeyev, Jordan Martel and Yan Aucoin supplied the offence for Baie-Comeau (19-7-2). Kyle Jessiman stopped 20-of-24 shots in a losing cause. GATINEAU, Que. — Antoine Coulombe turned away 43 shots as Shawinigan handed the Olympiques their fifth straight loss. Anthony Imbeault, William Cummings and Mavrik Bourque for the Cataractes (8-18-2). Defenceman Alex DeGagne was ejected for a kneeing major in the second period. Shawn Boudrias and Charles-Antoine Roy found the back of the net for Gatineau (10-15-3). Tristan Berube made 23 saves in defeat.